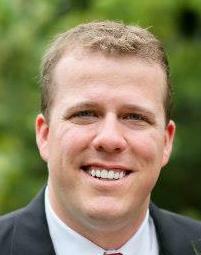 Dr. Craig Conner, DC has joined Berman Chiropractic & Wellness. Dr. Conner has nearly nine years of chiropractic experience. He will provide chiropractic services for pain management, injury rehabilitation, whole body health, worker's compensation, Professional Sports Care, and auto accident care. Dr. Conner also is one of a few chiropractors in St. Louis that is certified as an Active Release Techniques® (ART) provider, where he specifically focuses on soft tissue management. This technique can be used on patients with acute, chronic, overuse, repetitive strain injuries and postoperative cases of all types. Headaches, back pain, carpal tunnel syndrome, shin splints, shoulder pain, sciatica, foot pain, knee problems, and tennis elbow are a few of the many conditions that can be resolved with ART. To become ART certified, Dr. Conner had to complete extensive hands-on instruction and a written/practical along with annual re-certification. He also serves as an ART Doc for Ironman Triathlons. Dr. Conner attended Logan College of Chiropractic located in Chesterfield, where he graduated with his Doctor of Chiropractic degree in 2006. Prior to this, he received his BS in Biology at the University of Evansville in Indiana. Dr. Conner enjoys helping patients improve their health and performance. His goals are to provide each patient with individualized care according to their needs and to provide the patient with an exceptional experience. Dr. Conner accomplishes this through a combination of safe chiropractic adjustments, various soft-tissue techniques and rehabilitation exercises. Contact Berman Chiropractic to Schedule an Appointment With Dr. Conner.